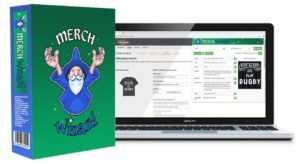 What is the MerchWizard Chrome App? This is a BRAND NEW Google Chrome app that allows you to integrate Merch Data with Air Table. Here’s a quick cheat sheet – list of benefits of using this extension. Get your FREE Air Table account by clicking here. or you can begin with the FREE plan or decide right away to pay monthly click here. Cloud Access: If you load your full resolution PNG files, you can access your designs from anywhere. Great for those who travel – wanderers, digital nomads, and expats. Foreign Marketplaces: Yes, it works for international selling on UK and DE platforms. Translation: Translate Merch Amazon Listings from English to German. The extension will take your Amazon.com listing information and translate it so you can properlt list on Amazon.de platform. Upload New Design Listings: Fast upload of new Merch Listings -> Even faster when you use data from a prior listing. Trademark or Compliance Search: When a new word gets Trademarked (TM) or if Amazon suddenly declares a new rule (like don’t use “made in the USA”), then you can use the short code computer search (CNTRL+F on a PC) and quickly identify any shirts that used these words. So much better than reviewing all your listings! Import: Easy Merch 4500×5400 PNG Importing. Click a button and high resolution images are added from Merch into the AirTable. How fast will depend on how many listings you have. Download: Use the extension to download your full resolution PNGs from inside AT and use this quick access to re-upload or add to other platforms. Great for those who travel. Customizable: Keep all the main heading titles, but add your own Tables and Fields as you see fit. Reasonable Price: The extension monthly fee is way less that you would pay a Virtual Assistant (VA), or yourself for that matter, to create this by hand. Pay as you Grow: Air Table has a free plan, so beginner Merchers can get started quickly. The FREE plan has plenty of room to grow, unlike other free plans where you can’t even get your feet wet before you’re forced to upgrade. Facebook Group: FB Group included. Active members sharing knowledge above and beyond Merch. Think all Print on Demand (POD) sites. Growing community of knowledgeable users. Air Table for Amazon FBA or Kindle: Once you have AT expertise, you may wish to explore using AT use it for your blank content books, if you are a CreateSpace or Kindle author. And, if you’re also a Merchant or Fulfilled by Amazon (FBA) seller, you can create tables for your FBA items too. MerchWizard now captures Date Product Listed on Amazon. New table for “New Listings”, separate from the current live “Listings” table. New scaled designs table to help scale out listing data easily functionality. Get your FREE Air Table account by click here. Grouping: Use AT grouping to sort your data in a variety of ways. Group by product type: review prices. Did you forget to raise some? Some sellers start with a low list price, and then raise the price after the first sale. This will catch items you may have missed. Group by reviews: Market the 5 star review shirts more. Formulas! – search the Facebook Group for formulas to help take your spreadsheet to the next level. Look for things like character counts, keyword filtering (like maybe you only need the first 10 when you list your Merch Design on Zazzle) etc. Beginner – What’s this about? Merch Wizard is a tool that exports ALL of your Merch listing information (brand, title, bullets, description, a thumbnail pic of your design, price, product type, colors, current BSR, number of reviews, average star rating and sales data) to a powerful “spreadsheet” in the cloud called Airtable. You essentially establish a database of all your designs for easy management control. It’s not so much that this is advanced, but that’s the best word till I come up with a new one. This is just implementing time consuming steps that hopefully result in higher level data, that may save time in the long run, and/or give you information to grow your business faster. Add the PNGs: You or a VA can drag the original PNG files (4500 x 5400 shirt, hoodie or Popsocket sizes) into the Listing Table or into the Design Table. While time consuming, the advantage will be the future time saved if/when you ever have to relist the design or if you wish to send the design to another POD. You won’t be searching your laptop, tower, or external drive to find the .png file. This also places your designs in the AT cloud, so access them from anywhere! UK and DE Listings: Take the time to either add the UK and DE listings to the same Base, or create separate Bases to hold this data. Separate Bases: Stay organized. Consider creating a separate base for each marketplace or even by niche. You will need to have a separate Table API key for each one and you can do this at no extra cost. Alternate Views: Before you create separate bases, be sure to explore the alternate view options. You may be able to create the “look” you want for particular data by just creating a new view. Go ahead and get the Air Table first. See what one looks like. Explore it and then come back to grab the extension. *All links are affiliate links, but have no impact on the price you pay for Merch Wizard. – These are ideas from the Facebook Group, plus more of my own coming…. so bookmark this page and check back! Update sales stats and see which are best selling listings. Get them up on other PODs for Q4! Look for listings with reviews on. Go check them out. Organise listings into niches so can analyze which niches are selling well. Sort listings by product type and price, filtering for ones that have sold. Probably up the price on the low ones …. Create a view of products not yet uploaded to redbubble (top sold shirts) and go through and upload them. Associate my PNGs to the listings so I never have to search for them again. Find your best sellers and use the the one click translate to german feature to list them on amazon.de quickly and efficiently. Look for listings that have sold alot in but haven’t sold in the last 30 days – investigate if it’s due to competition or some other reason.